This 250,000 sq. ft. complex of buildings in Marina del Rey was formerly a food processing and storage facility for Collins Foods. The buildings were stripped down to the structure and shell and rebuilt into a state of the art computer center for development of ATM systems for the bank. 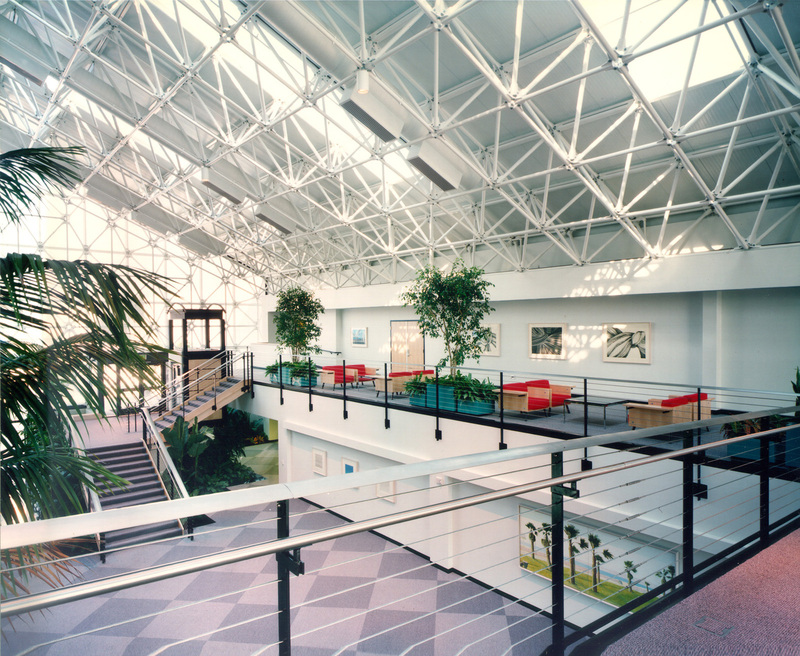 Four buildings and a cafeteria were linked together with a new space frame atrium which also serves as the entry to the complex.